Every news story I read about Venezuela seems to be written according to a single, basic narrative: because of the policies of the late Hugo Chavez and his successor, Nicolas Maduro, the country is coming apart at the seams. Instead of investing in oil production, for example, Chavez “lavished” (code for “wasted”) the proceeds on the poor. Price controls and nationalizations of industry, it is also claimed, have resulted in empty store shelves. A recent Reuters piece decried the shortage of sushi-grade fish. All this is supposed to make clear to the reader that this prodigal nation must either get with the neoliberal program (i.e., align itself with the interests of the world’s financial elite) or face certain ruin. But the facts paint a completely different picture. Since Chavez was elected president in 1999 and throughout his 14-years in office, poverty fell by 50 percent, while extreme poverty was reduced from 23 percent of the population to 8 percent by 2011. This achievement, stunning by anyone’s measure, was made possible by Chavez’s policy initiatives, such as massively-increased social spending, subsidized grocery stores, and the much-maligned price controls. Consider also the gigantic increases in household consumption since Chavez came to power. After surviving the US-backed 2002 coup and finally free to carry out its semi-socialist policy agenda, the Chavez administration presided over a decade of increasing per capita household consumption that would reach historic highs by the late 2000s. The rise from poverty of millions of Venezuelans brought with it a correspondingly massive increase in demand for food and consumer goods, and even though many sectors of the economy have seen impressive increases in productivity, it wasn’t enough to keep up with surging demand—hence the shortages of some goods. In other words, the shortages are the result of an expanding economy that, more and more, is meeting the needs of the population and not at all indicative of a failing system. None of this is acceptable to the world financial aristocracy because it doesn’t serve to increase corporate profits. This is the unstated assumption of the absurd criticism that the policies of the Venezuelan government are inimical to the values of “investors”—which is a sort of euphemism for the narrow sector of economic parasites looking for cheap labor to exploit and natural resources to plunder. If reversing the policies of the Chavez-Maduro era meant throwing millions back into poverty and desperation, that is a price they are eager to pay. The contrast here between the aims of the beneficiaries of neoliberal globalism and those of the government of Venezuela ought to be especially striking to any Catholic. It is undeniable that Chavez attempted to place the government and the economy at the service of the poor and the broad mass of the population while preserving widespread private ownership (in fact, increasing it) and democratic rights (the United Socialist Party has been democratically elected to power since 1999); this is exactly in line with Catholic social teaching. By way of contrast, the US-supported opposition wants to enact the neoliberal economic policies that have been condemned by the recent social encyclicals of Benedict XVI and Francis I. Yes, there are serious social problems in Venezuela, like violent crime and a stagnant manufacturing sector. 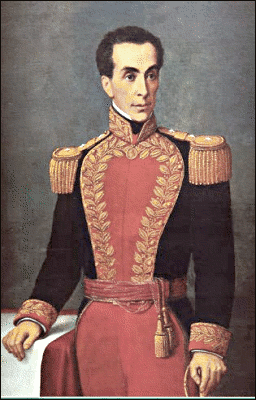 But the aims of the Bolivarian Revolution are noble and its achievements are undeniable. Far from working against it, we, as a nation, should be standing with it in solidarity and, as individuals, praying for its success. Brian Ellsworth, “No Flour? No Fish? Venezuela’s Chefs Get Creative Amid Shortages,” http://news.yahoo.com/no-flour-no-fish-venezuela-39-chefs-creative-130211173--sector.html;_ylt=AwrTWfwiZ.pSTBQAnDvQtDMD. Chris Carlson, “What the Statistics Tell Us about Venezuela in the Chavez Era,” venezuelan alysis.com/analysis/7513 .